NBA and NCAA team-inspired kicks are taking centerstage in the sneaker market for the past few weeks and one more is expected to get a lot of attention starting today. Jordan Brand announced that the Air Jordan 1 Retro High OG will come out in Clover/Metallic Gold-White-Black colorway today, which is will dubbed as the “Boston Garden” or the “Boston Celtics” edition of the shoe. 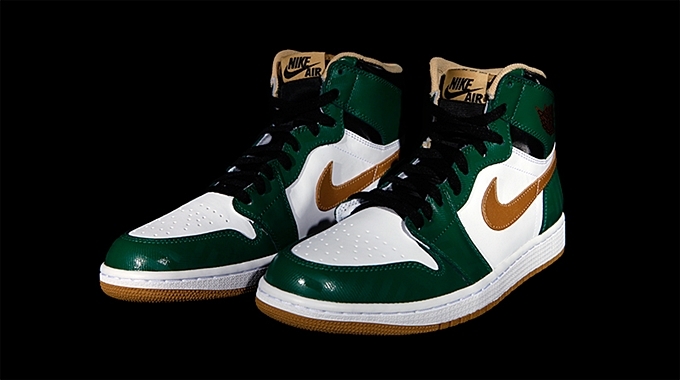 As the name itself suggest, the color combination of this kick was inspired by the team colors of the Celtics in the NBA. This will be a limited release so make sure to grab your own pair immediately.